Crappy taxidermy from around the world! Here's an example of not-bad taxidermy of a strange animal. 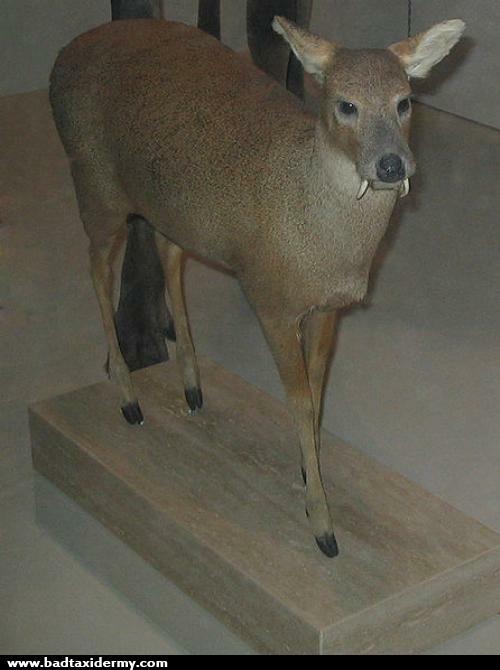 This is a Chinese water deer, which has tusks instead of horns.